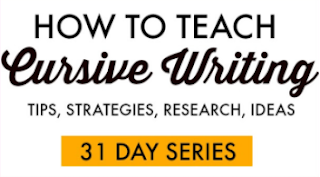 Sometimes handwriting difficulties stem from lack of attention to the task at hand. 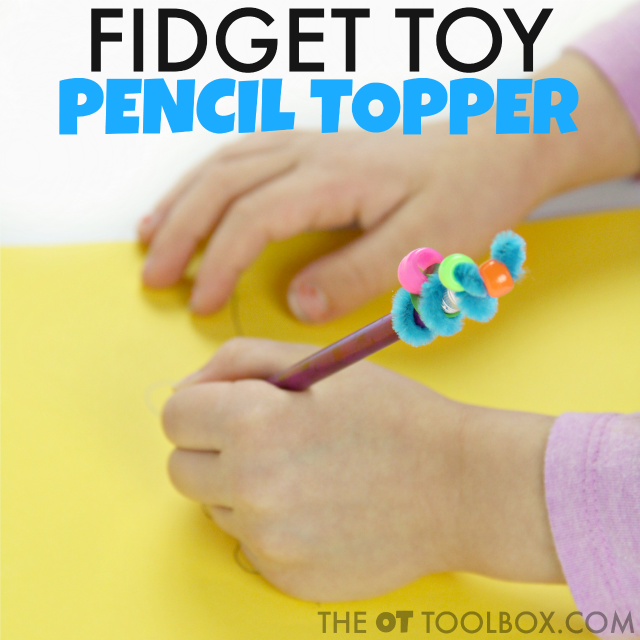 This DIY pencil topper fidget toy can be just the tool to help kids write and focus on their writing assignment or the classroom activities. 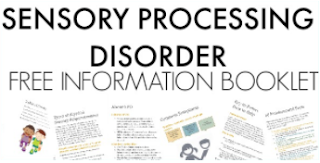 Sensory needs may impact a child's ability to attend or a child may present with a typically developed sensory system and show signs of fidgeting during classroom work. 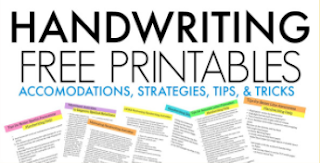 Whether your child has sensory needs or not, a fidget tool is many times just the tool for helping with extra wiggles and movement needs that interfere with handwriting and therefor learning in the classroom. There are many fidget toy pencil toppers available on the market. 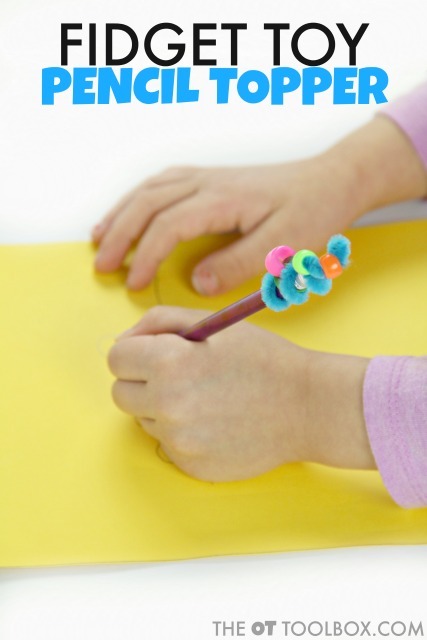 Kids use them to keep their fingers busy and their mind's engaged in the classroom environment. 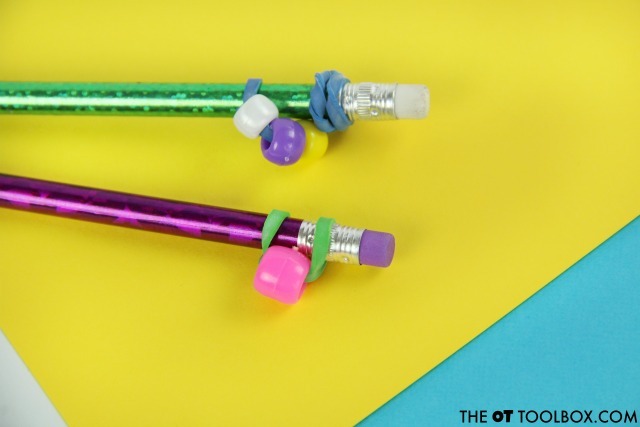 From the wingnut, nut, and bolt variety to the simple ball-type toppers, pencil topper fidget toys are a classroom tool for providing sensory feedback in a non-distracting way. We decided to make a couple of our own pencil toppers using materials from our craft bin. This would be a great activity for the whole class and a way to sneak fine motor skills into the day. Kids can use the pipe cleaner and bead fidget toy as a way to help with attention and movement needs. 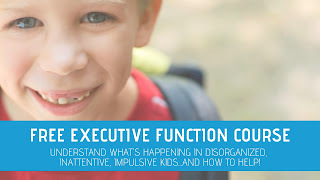 Use this attention tool is a DIY fidget toy in the classroom or in the home. You'll need just a few materials. First, thread a rubber band through one of the pony beads. You can show your student's how to do this task to promote a tripod grasp and bilateral hand coordination. 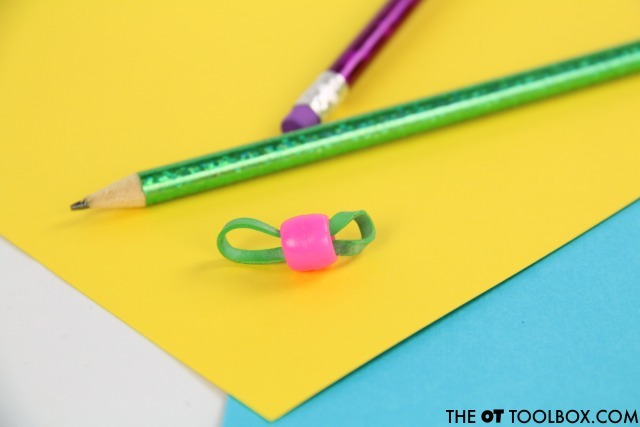 Kids can add as many pony beads as they like to the rubber band. Then, wrap the rubber band around the pencil topper. Next, add pipe cleaners. 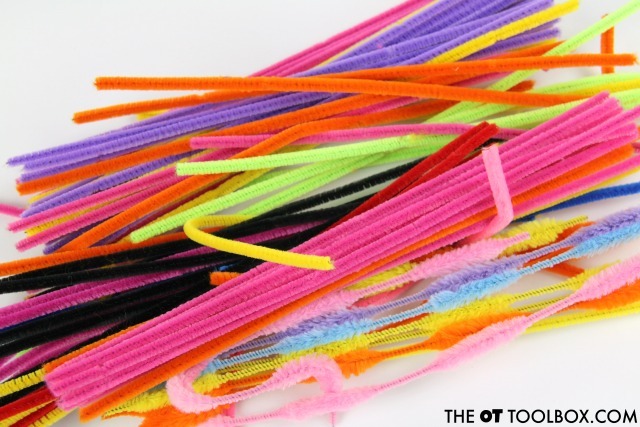 Kids can be as creative as they like with the pipe cleaners, beads, colors, and other embellishments. 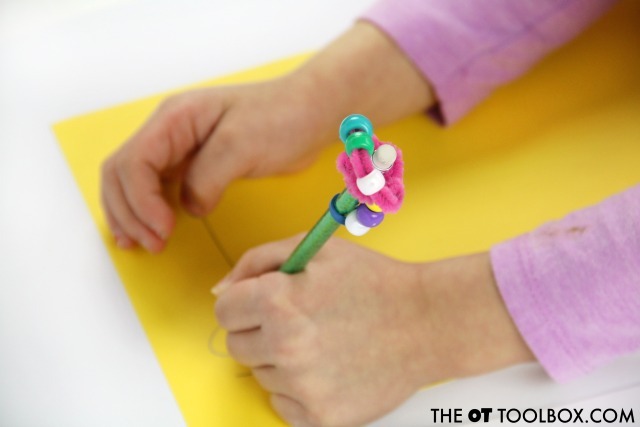 Threading the beads onto the pipe cleaners and bending them to stay on the pencils is a great way to boost those fine motor skills in kids. 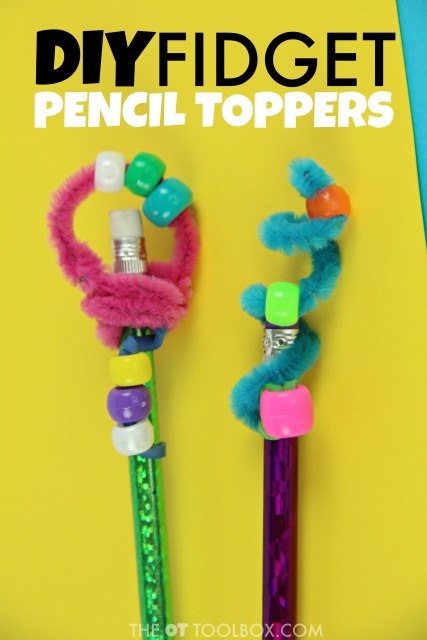 Try making these pencil toppers as a classroom project that the whole class can use.